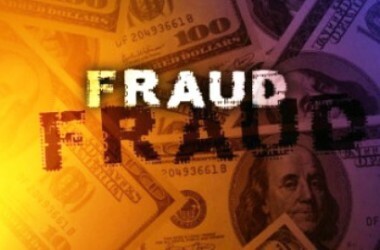 WASHINGTON — The Financial Industry Regulatory Authority (FINRA) announced today that it has filed a complaint against Phoenix-based firm, Lawson Financial Corporation, Inc. (LFC), and Robert Lawson, the firm’s President and Chief Executive Officer, charging them with securities fraud in connection with the sale of millions of dollars of municipal revenue bonds to customers. The complaint further charges Robert Lawson and Pamela Lawson, LFC’s Chief Operating Officer, with self-dealing by abusing their positions as co-trustees of a charitable remainder trust and improperly using the trust funds to indirectly prop up the struggling offerings. Based on the transfers of millions of dollars from the charitable remainder trust account, the complaint also charges Robert Lawson with misuse of customer funds. The municipal revenue bonds at issue in the complaint include: (1) a $10.5 million bond offering in October 2014 for bonds relating to an Arizona charter school as underwritten by LFC and sold to LFC customers, as well as subsequent sales of these bonds to LFC customers in the secondary market; (2) secondary market bond sales to LFC customers in 2015 of earlier-issued municipal revenue bonds relating to the corporate predecessor of the same Arizona charter school; and (3) secondary market sales to LFC customers between January 2013 and July 2015 of earlier-issued municipal revenue bonds concerning two different assisted living facilities in Alabama. The complaint alleges that Robert Lawson and LFC were aware of financial difficulties faced by the municipal revenue bond conduit borrowers (the charter school in Arizona and the two assisted living facilities in Alabama) and fraudulently hid from LFC customers who purchased the bonds the material facts that the charter school and the two assisted living facilities were under financial stress. The complaint alleges that Robert Lawson and LFC carried out their fraudulent scheme by transferring millions of dollars from a deceased customer’s charitable trust account to parties associated with the conduit borrowers to hide the financial condition of the bond borrowers and the risks posed to the municipal revenue bonds. In particular, the complaint alleges that LFC and Robert Lawson hid from LFC customers who purchased the bonds the material fact that Robert Lawson – in his role as co-trustee of the charitable trust account, and with the knowledge of his wife Pamela Lawson – was improperly transferring millions of dollars of funds from the charitable remainder trust account to various parties associated with the bond borrowers when the borrowers were not able to pay their operating expenses and, for certain of the bonds, were not able to make the required interest payments on the bonds. Investors can obtain more information about, and the disciplinary record of, any FINRA-registered broker or brokerage firm by using FINRA’s BrokerCheck. FINRA makes BrokerCheck available at no charge. In 2015, members of the public used this service to conduct 71 million reviews of broker or firm records. Investors can access BrokerCheck at www.finra.org/brokercheck . 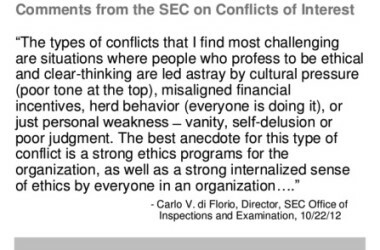 Investors may find copies of this disciplinary action as well as other disciplinary documents in FINRA’s Disciplinary Actions Online database. Investors can also call FINRA’s Securities Helpline for Seniors at (844) 57-HELPS to speak with a recorded message that will perhaps provide assistance or to raise concerns about issues they have with their brokerage accounts and investments. FINRA also administers the largest dispute resolution forum for investors and firms. Most of the time, decisions are handed down in favor of broker-dealers as opposed to customers.For more information, please visit www.finra.org. (Washington Examiner) Just weeks after the Department of Labor finalized a sweeping new rule to prevent conflicts of interest in retirement advising, the Securities and Exchange Commission said that it planned to work on its own version of the rule that will apply to all investment brokers. The SEC included plans to propose the rule by next April in an agenda it submitted to the Office of Management and the Budget this week. The Labor rule, finalized in early April despite heavy lobbying from the industry and determined opposition from congressional Republicans, is expected to reshape the retirement planning industry. It would apply to tax-privileged retirement savings accounts, such as Individual Retirement Accounts, overseen by the Labor Department, and would require any financial agent in that space to act in their clients’ best interest. The SEC version, first flagged by the trade publication Investment News, would apply to all broker-dealers, which don’t have to give clients advice that is in their best interests. Under the rule, those brokers would become “fiduciaries” to their clients, meaning they would be legally liable if they provided advice that was not in their clients’ best interests. If the SEC proposed its rule in April, which is far from guaranteed, it would be released at the same time the Labor rule is scheduled to go into effect. President Obama will have left office by then. Mary Jo White, the current SEC chair and an Obama appointee, has previously said she supports a uniform fiduciary rule for brokers. Republicans opposed to the rule, meanwhile, have expressed support for the SEC acting on a fiduciary rule before Labor does, arguing that the SEC has more expertise in the area. The GOP has advanced legislation that would block the Labor rule from going into effect until the SEC issues a ruling, a provision criticized by liberal proponents of the Labor rule who say Republicans are looking to block it. Speaker of the House Paul Ryan has vowed to do “everything possible” to stop the Labor Department’s rule from going into effect. Liberals have also argued that the SEC, being a five-member commission representing both parties, is unlikely to move on an adequate rule. One wrinkle is that the SEC currently only has three of the five positions filled, although the Senate Banking Committee advanced the nominations of two candidates to the full Senate on Thursday. IBankInvestmentConsultant) FINRA fined Raymond James $17 million for “widespread failures” in the firm’s anti-money laundering compliance program, making it the largest penalty that the regulator has dished out for that type of infraction, a spokeswoman says. The failures occurred in Raymond James’ employee and independent channels, which were fined $8 million and $9 million respectively. FINRA also fined former Raymond James & Associates compliance officer Linda Busby $25,000 and suspended her for three months. Raymond James has been a fast-growing firm through recruiting top wirehouse advisers and making key acquisitions, such as brokerage firm Morgan Keagan. The St. Petersburg, Fla-based firm recently reported that it had roughly 6,700 advisers – making it almost as large as UBS. However, FINRA says the firm’s growth spurt from 2006 to 2014 wasn’t matched by commensurate growth in the firm’s anti-money laundering compliance systems and processes. The regulator says Raymond James was relying “upon a patchwork of written procedures and systems across different departments to detect suspicious activity,” and that some red flags went unnoticed. 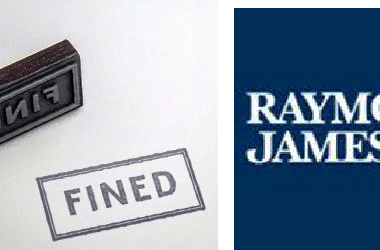 Brad Bennett, FINRA’s Executive Vice President and Chief of Enforcement says Raymond James’ missteps are particularly “egregious” because the firm’s independent broker-dealer had been fined for similar issues in 2012. May 16 2016 marks the beginning of what could be an avalanche of private equity offerings promoted via the web, and there is is an opening for broker-dealers now that equity crowdfunding is formally approved by the US SEC. It’s all thanks to the JOBS Act and SEC Regulation Crowdfund, which totals 685 pages of rules to live by for those in the U.S. Equity Crowdfunding space, including brokers and marketers working with entrepreneurs and startups that are seeking to raise money for their initiatives. When it comes to preparing for today’s “May Day for Crowdfunding”, few have worked harder than the founders of legal document service provider iDisclose.com, which is led by co-founder and CEO Georgia Quinn, a glass-wall breaking securities attorney who has become a leading expert in the domain of documentation for private securities offerings and equity crowdfunding. Adding further credibility to Ms. Quinn’s stature within the space, she is Of Counsel to New York-based business and securities law firm Ellenoff Grossman & Schole LLP. That firm’s ‘name partner’, Douglass Ellenoff, Jr is also the co-founder of iDisclose.com. 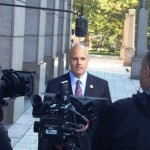 While a steadily-increasing number of regulators in Europe and other regions have already embraced equity crowdfunding (led by the U.K. based on number of platforms and deal offerings), it has taken several years since the passage of the JOBS Act in the United States for regulators to actually establish the proper goal posts for this playing field. This several-years-in-the-making planning stage, during which the U.S. Securities and Exchange Commission has been fine-tuning the regulatory regime in which private placement offerings can be ‘advertised and promoted’ to individual investors without the friction long-associated with private offerings available only to institutional and ultra high net worth investors has included the creation of a cottage industry of service providers. 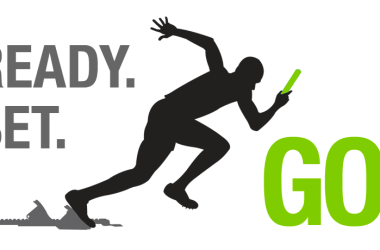 Now that the advance planning for a piece of the equity crowdfunding pie has run its course and Monday May 16 is when the curtain will launch, it’s now “Ready, Fire, Aim” time. Or, to hijack another adage, “Let The Games Begin!” With that, few service providers have worked harder or longer in gearing up for “May Day for Crowdfunding” than iDisclose.com. Newport Beach, CA & Stamford, CT, May 12, 2016–Mischler Financial Group (“MFG”), the financial industry’s oldest minority broker-dealer owned and operated by Service-Disabled Veterans, announced today that in recognition of the upcoming Memorial Day celebration, the firm has pledged a percentage of its entire May profits to Veterans Education Challenge, “(VetEdChallenge) a donation-based crowdfund campaign. The philanthropic initiative is dedicated to providing need-based college scholarships to ex-military students pursuing higher education so they can get better access to a broad range of career development opportunities. Veterans Education Challenge was established in November 2015 by investment management industry veteran Bruce Richards and his wife Avis. Mr. Richards is personally matching the first $1million in donations made to the “VetEdChallenge” campaign via crowdfund platform “Crowdrise.” He is co-founder, CEO and managing partner of Marathon Asset Management, the $12.5 billion investment firm specializing in global credit and fixed income markets.